And it helped, a lot. late June wedding. And prayed for good weather. from and gave myself extra burlap to puddle at the ground. I ended up using 7 yards of natural burlap. found the tutorial for here. 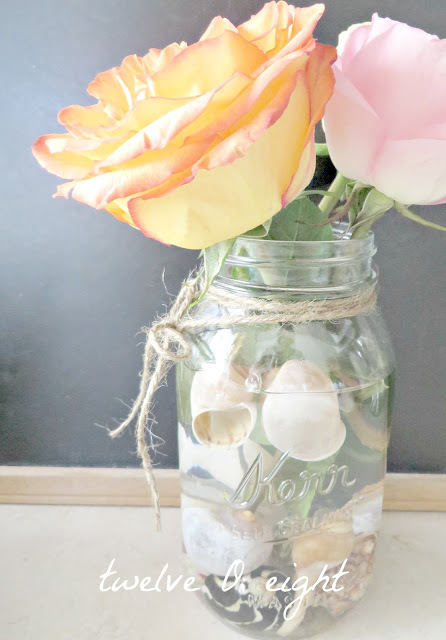 around the top to give each jar a rustic, romantic look. 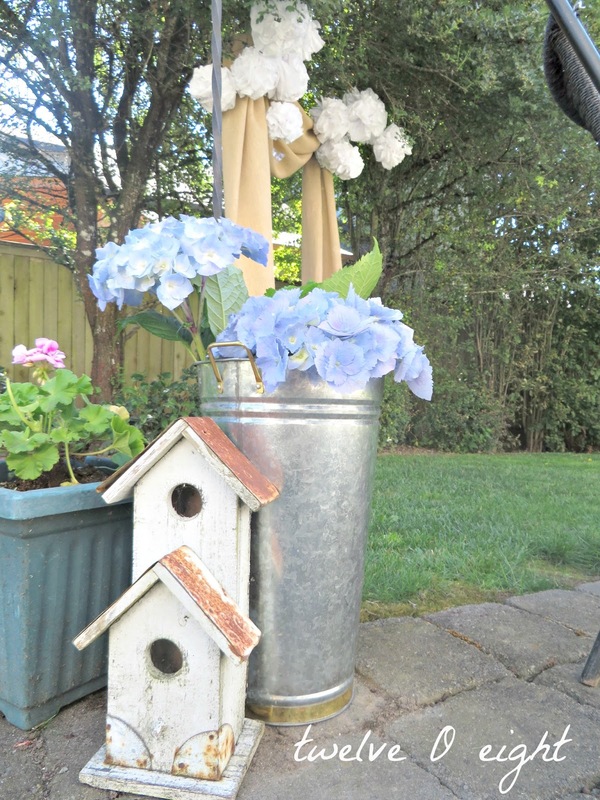 Our hydrangeas began blooming just before the big day arrived. different variations of it. I made my own and it was a hit. family and friends they escaped for their honeymoon. Ford covered with Oreo cookies, “just married” on the windows. With the guys she loves at the wheel. and the kids ran barefoot in the grass laughing and playing tag. 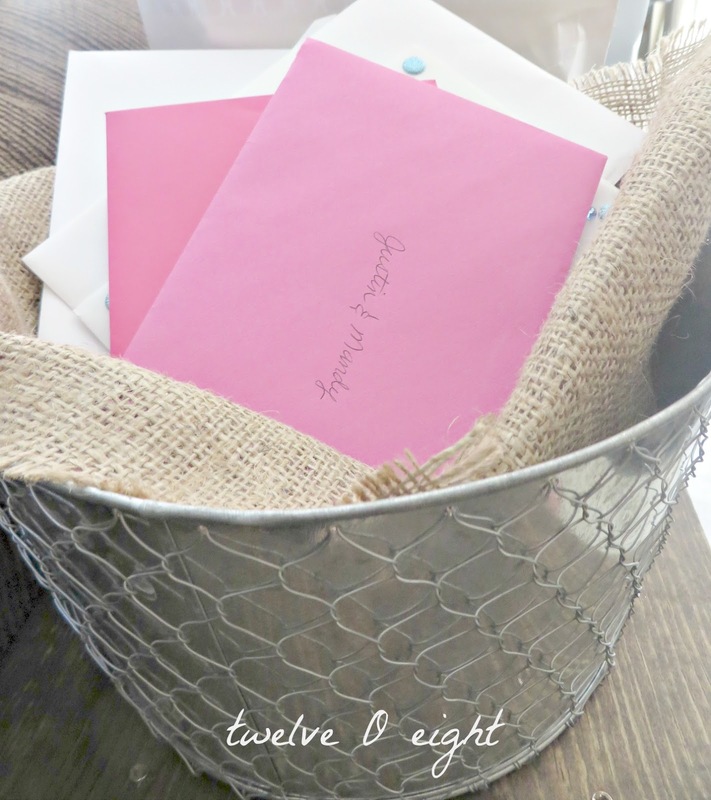 on dinner mints and crafting with that burlap for a long time. Tanya, WOW, what can I say? You did a great job and as you said, a wedding is a party and you created the perfect place for a relaxed and beautiful party! Tanya- you did it! 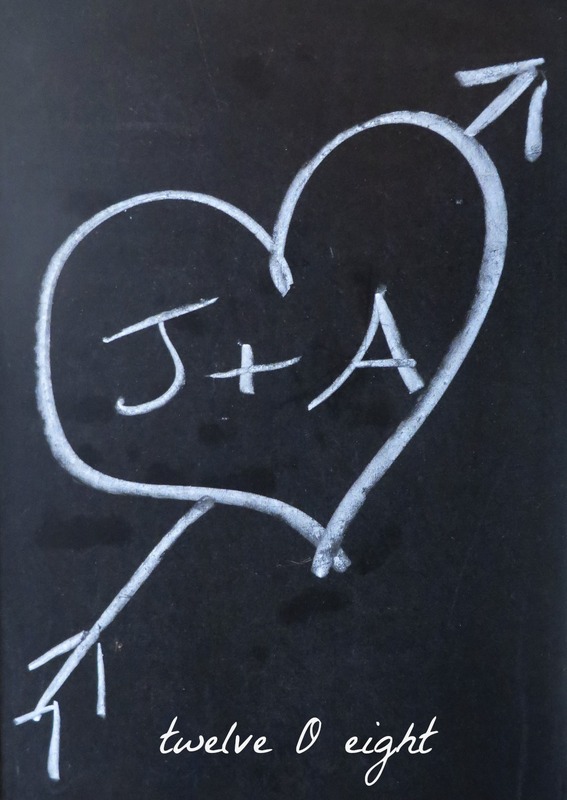 congrats to the bride and groom…..and to the wedding planner! What a beautiful job you did! I'm so happy you had great weather. I am so glad it all came together so well. And the weather cooperated – hurray! 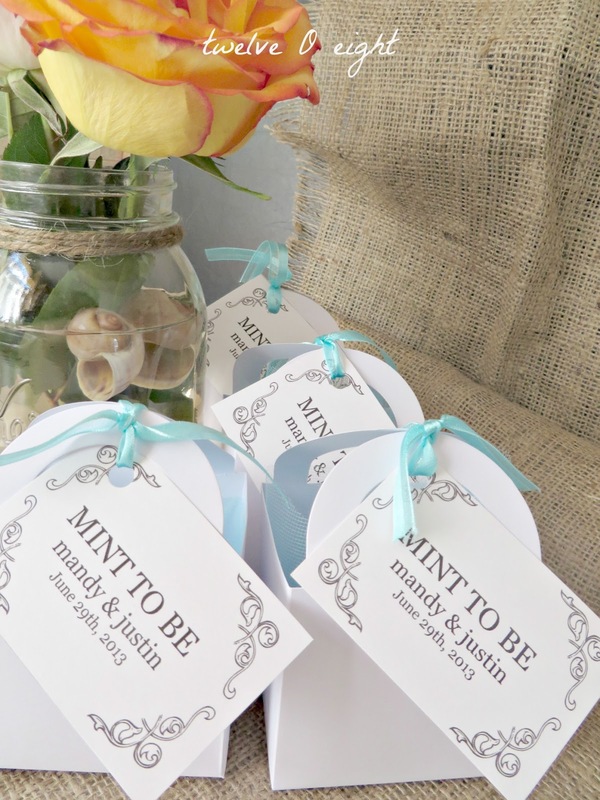 Love the "mint to be" boxes – so cute! Congrats on a job well done! Beautiful wedding Tanya! 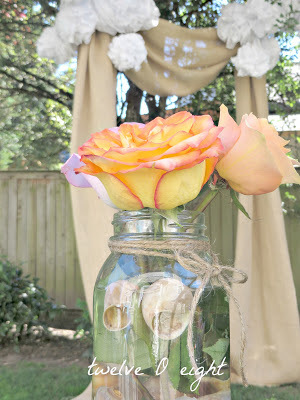 I absolutely love the burlap arch! Great job! I'm sure your daughter will cherish the day even more knowing that you put your heart into every part of it. 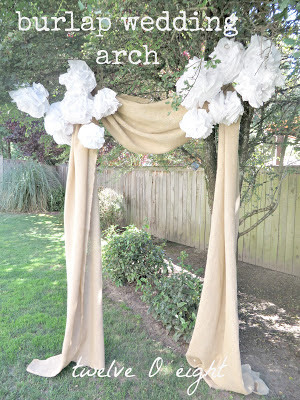 The wedding arch in burlap looked amazing! I'm sure this will be copied many times over. You pulled it off in fine style. Lovely! 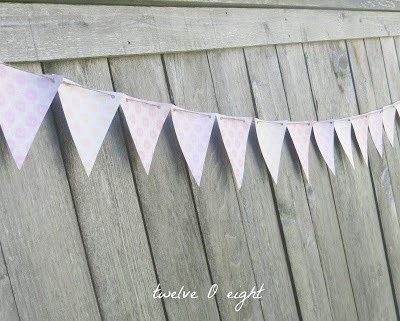 How beautiful is your burlap arch?!!! I bet it was a gorgeous wedding! Congrats to your daughter and new son-in-law! Thank you for sharing. That arch is awesome. What a memorable day for you all. Congrats! Looks like it was a beautiful, relaxed, fun occasion!! Pretty…..!! Love the burlap backdrop! That burlap arch is just stunning, and ALL of your handmade special touches are so beautiful. What lovely memories you two will share of making her special day come to life. Love it all! Congratulations to the newlyweds, and your whole family. My first time to visit through bloggie friends parties. OMG! this wedding is such a spectacular moment, when Mum do all the decors. I salute you for a grea JOB done. Congrats to the newly wed.
What a great idea! So creative! I love everything about this wedding Tanya! You are so creative! Looks gorgeous! 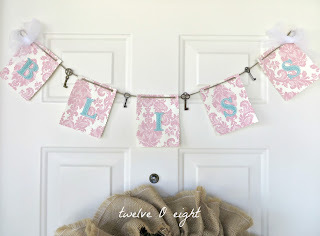 Love the burlap arch! It is so simple, but beautiful! Hi! I was wondering if you could tell me where you got the burlap for the wedding arch you made. I am getting married next year and making my own arch (and pretty much everything else), and I adore the arch you made. The burlap you chose is just perfect, but I can't seem to find anything like that, so I was hoping you could tell me where you got it. Thanks so much! 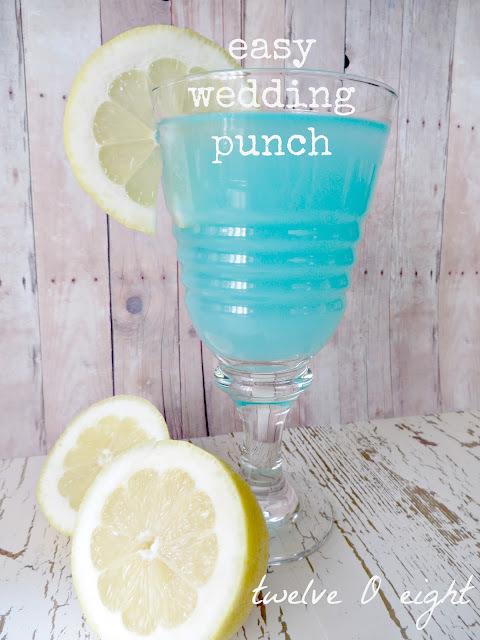 How many drinks does this Tiffany Blue Punch Recipe serve? ?